1 What Do You Need to Know Before Investing In Gold? 1.1 What Is The Best Place To Buy Gold? 1.2 What to Do When Investing in Gold – When Is The Right Time To Invest? 1.2.1 Which Kind of Gold Should You Buy ? What Do You Need to Know Before Investing In Gold? If you’re looking for an investment opportunity, then gold is one of the most obvious and well-known solutions. After all, everyone knows that gold is one of the world’s most precious commodities but investing in it when you don’t have any prior knowledge of the space can be a risky business. The best place to start your education when you need to know more about the gold market is in Dubai, the city of gold. From an outside perspective, Dubai’s fascination with luxurious metals is one of it’s most appealing traits. While there’s obviously more to this location than its connection with gold, diamonds, and supercars, it’s fair to say that it’s one of the greatest gold trading destinations in the world. There are many reasons why Dubai is considered to be the best place to purchase gold for investment purposes. In part, it’s because it has always had a history with the precious metal. On the other hand, it’s worth noting that there’s always been a particularly high volume of trade going on around gold too. Indians and Arabs alike have always considered gold to be a powerful alternative to putting money in a bank. In some cultures, it’s even the tradition of the family for the women at the head of the house to wear the family wealth instead of putting it in a vault. What Is The Best Place To Buy Gold? 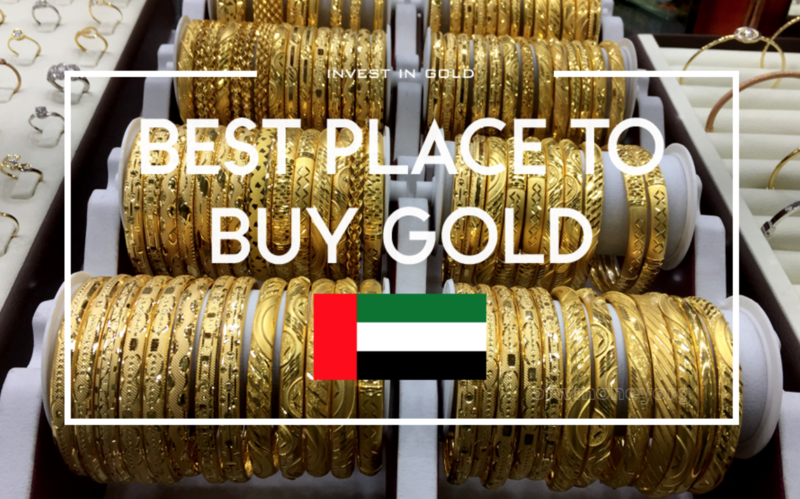 With no taxes on gold in Dubai, it makes sense that you’d want to head to this country when you’re looking for a way to make some cash buying gold. However, just because this city can give you a great deal doesn’t mean that everyone will be well-suited to a gold investment. Just like any other investment opportunity, gold can be volatile, and there’s never any guarantee that you’re going to make money from your investments. Additionally, it’s worth noting that unlike other investments in property and shares, you can’t take an income from your investment into gold. Instead, gold should be seen as a method of diversifying your portfolio, and it shouldn’t make up any more than 5% of your total wealth or investment assets. Even if you do decide that gold investment is the right step for you, make sure that you don’t immediately jump into investing in gold from one of the gold dispensers in The Palm, Atlantis, and the Mall. Serious investors aren’t going to get their gold from a machine, so it’s probably best to look at this as more of a tourist souvenir than a real part of your investment portfolio. Instead, you should be looking at the jewelry shops available in UAE, as this can be the best way to make a profit. Jewelry in UAE is typically sold by the weight – which is something we don’t see anywhere else. However, the workmanship that goes into each piece can increase the price. The more intricate the design of the jewelry, the more you can expect to pay. If you’re looking for investment only, then it might be a good idea to stick to simple pieces. You can also look into buying gold from certain banks, including the Emirates Gold destination in Dubai. If you’re not interested in interacting with a seller in person, there’s also the opportunity to find the gold you need from an online dealer. Remember, when you do buy gold, whether it’s just an ounce or a small buy, you should keep it in a bank vault – not under your bed at home. 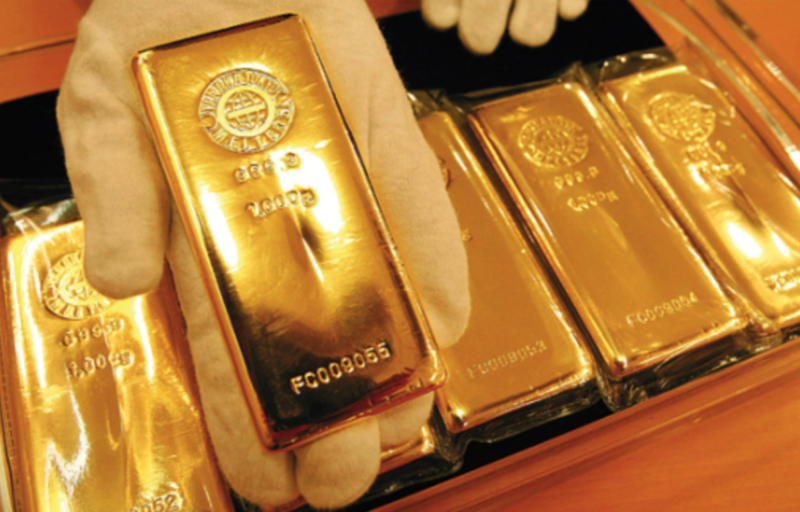 What to Do When Investing in Gold – When Is The Right Time To Invest? The unfortunate truth is that no one can really predict when the best time to buy gold might be. In simple terms, the best time to buy gold for most people is when the prices are at their lowest. The only way you’re going to be able to find this moment is by carefully watching the market. (Check Dubai’s daily gold prices here) However, it’s also worth being aware of indicating factors that might contribute to the fluctuation of gold prices. As for when you should start selling, holidays are typically a good time to go back into the market. You can sometimes see small surges in the price you can get back for your gold around the holidays when people are looking for gold as a traditional gift. Anyone considering gold as an investment should approach the concept with care and caution. Remember to think of it as a simple asset class, like anything else you might invest in. Never put all of your money into gold, as this isn’t a good way to run a diverse portfolio. When you have no control over market prices of precious metals, it makes sense to only use gold as a small part of your investment strategy. Which Kind of Gold Should You Buy ? If you do decide to invest in gold, then it’s worth noting that there are different types to consider. For instance, yellow gold is the most traditional color on the market, and it usually comes with a percentage of zinc and copper in the mix. The copper in yellow gold determines how yellow it is. This is also true of rose gold. Rose or pink gold is made of copper and gold alloys. The pinker the gold appears to be, the higher the copper content is. Most of the time, the ratio is about 75% real gold, and approximately 25% copper. White gold is a unique form of gold, although it’s sometimes confused with platinum and silver. White gold usually has a plating of rhodium and contains another white metal like palladium or nickel. White gold is a lot sturdier than yellow gold, and it’s frequently used in jewelry. No matter which color of gold you choose to invest in, remember that the most important factor will be the number of carats in your piece. The carat count will help you to identify the purity of the gold and how many units of alloy are in the metal. 24-carat gold is the finest, as all available parts are made with pure gold. On the other hand, 18 carat cold is closer to 75% pure gold alloy, and 25% copper. Pure gold is often softer than its mixed counterpart.